Stephan R. Bartek and The Napier Co. Many costume jewelry books have written that Stephan R. Bartek designed for The Napier Co. Although, the author of The Napier Co.: Defining 20th Century American Costume Jewelry remains unconvinced, and makes no claims to that fact. In fact, there is no mention of Stephan R. Bartek in her recently published book. After extensive research and interviews with those who had access to company records or who worked for Napier during the early 1940s, no such persons can validate that Stephan R. Bartek designed for the Napier Co. Nor did he appear in any company historical documents, unlike other employees. Born in 1912, Stephan R. Bartek Jr. was the son of blacksmith and wagon maker Stephen Bartek and his wife Julia Bartek. He resided all of his life in Wallingford, CT. City directories list Stephen R. Bartek Jr. as living in the same home as his parents up to at least the age of 25. 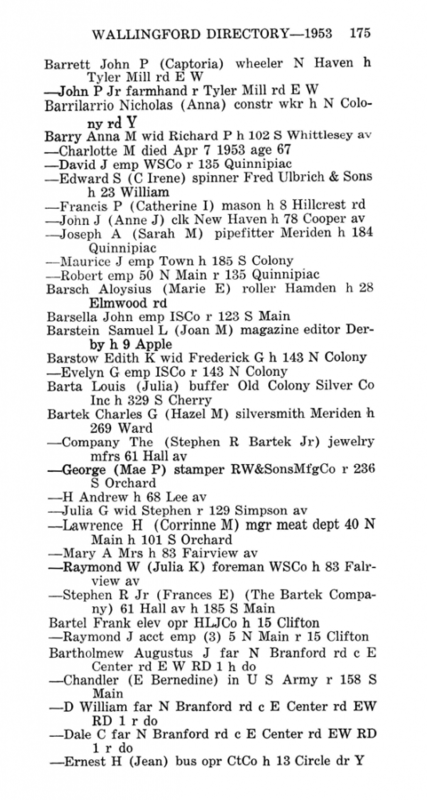 Although customary at the time to publish the employer’s name of those referenced in city directories, Stephen R. Bartek Jr. never appears to be listed as an employee of The Napier Co. 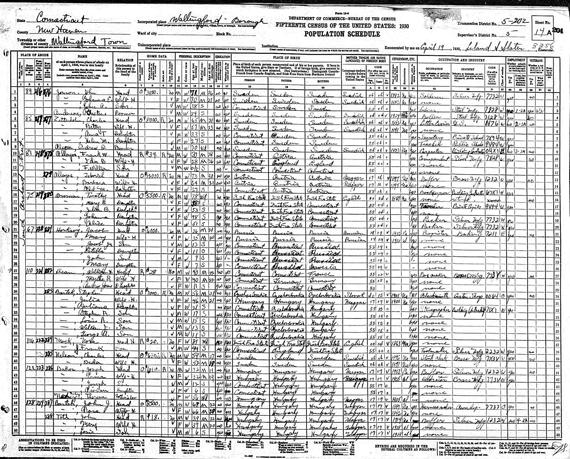 In the 1930s census, he is listed as unemployed. To have commenced his work with Napier during the 1930s would have meant that he began in the design department possibly at the age of 18 with no formal art or silversmith training. Given that most designers for Napier were highly skilled and trained at the finest institutions, it seems unlikely that Stephan would have begun his career at Napier with little or no formal training. Additionally, after the crash of 1929 and the end of prohibition, work placement for a young, inexperienced designer at Napier seems unlikely. Barware production fell sharply and jewelry was not being manufactured in the same capacity until production geared up in 1937. What does seem likely, however, is that Stephan worked for and learned metalworking skills from his father’s business that later gave him the ability to open his own business in the late-1940s. If he did work for The Napier Co., perhaps it was to sweep the floors or keep the ovens stocked with coal as a young teenager. Neither the Meriden Historical Society, nor the Wallingford Historical Society could state if Stephan R. Bartek worked for Napier during the 1930s. 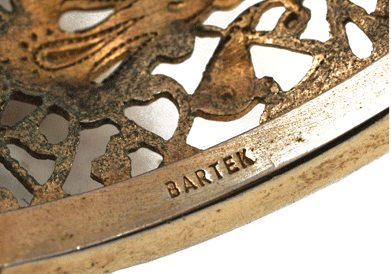 Until jewelry historians obtain further data, the Bartek story will remain a mystery. Commentary: As jewelry historians, we know that our understanding of the jewelry industry is always evolving. What was considered fact at one time, may now be known as “fiction.” In this case, the source of the information pertaining to Mr. Bartek’s employment was deemed reliable and rightly so, But it is our efforts to verify those facts that sometimes bring to light what was said as fact, may not be fully accurate. As part of the mission statement, the community will continue to question what is believed to be true and strive to better understand an important time in American cultural history. What new info do you want to reveal? 1878, Bartek jewelry, Stephan R. Bartek, The Napier Co.